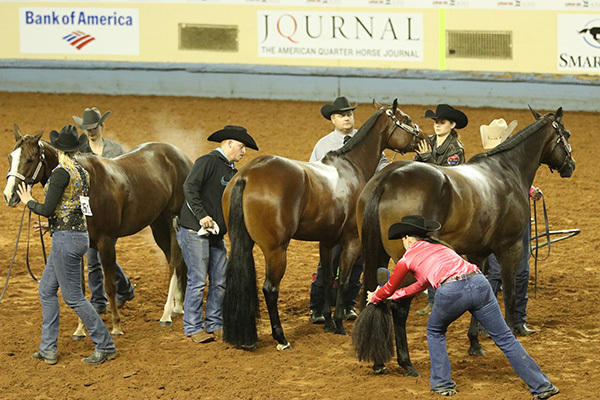 Check out all the hilarity that ensued during the inaugural Pleasure Versatility Challenge this week at the 2018 AQHA World! 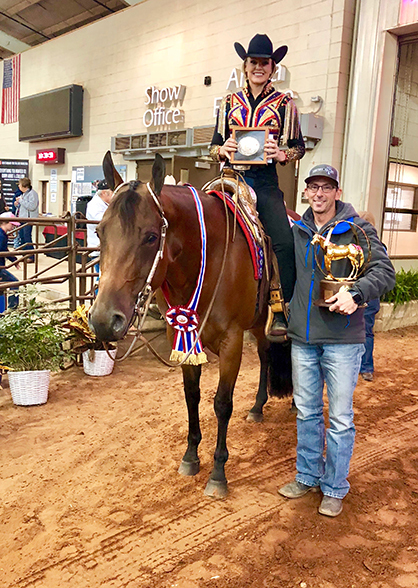 Sunni Duke rode Shesa Hot Selection to win Amateur Equitation at the 2018 AQHA World Show. Find out what she had to say about her beautiful, little mare, the complex patttern, and her lucky socks. Check out more great videos on EquineChronicle.TV. Jessica Ross just rode Hotforyourhonor to win L2 Junior Hunter Under Saddle at #AQHAWorld2018. 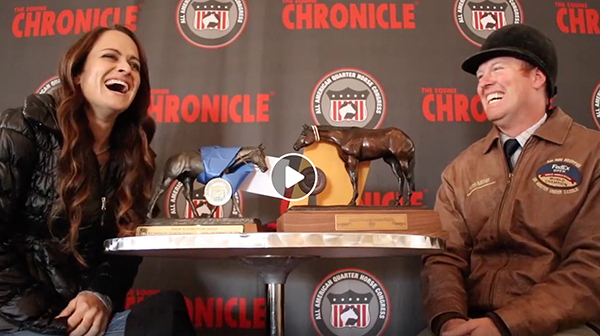 Check out EquineChronicle.TV for more video interviews. 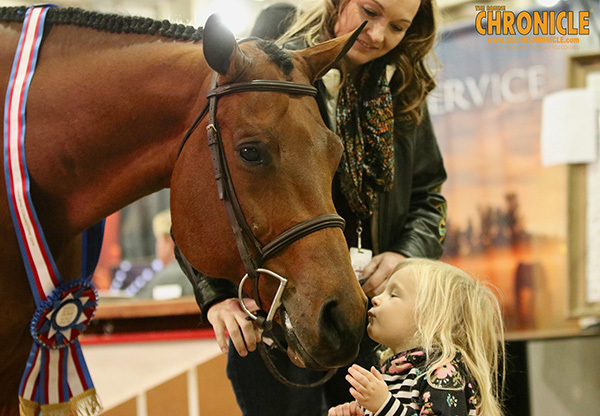 Jennifer Paul just rode Onlythebestchocolate to win Senior L2 Western Pleasure at #AQHAWorld2018. 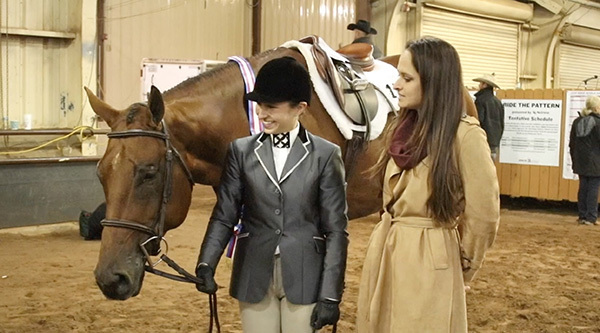 Find out what she had to say about “Hershey.” Check out more video interviews on EquineChronicle.TV. 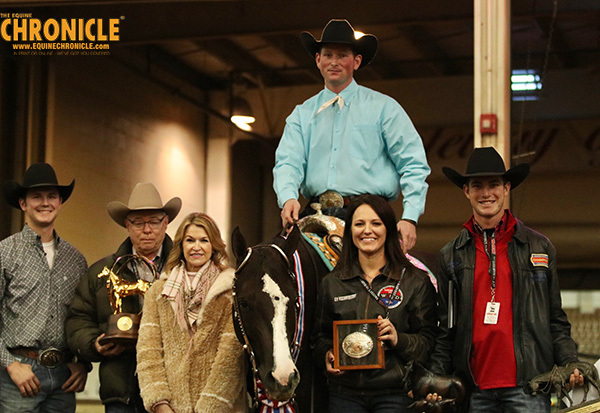 Find out what Casey Willis had to say about KM Suddenly So Easy, the mare he just rode to win Junior Western Pleasure for Masterson Farms, LLC at the AQHA World Show. Check out more great video interviews on EquineChronicle.TV. 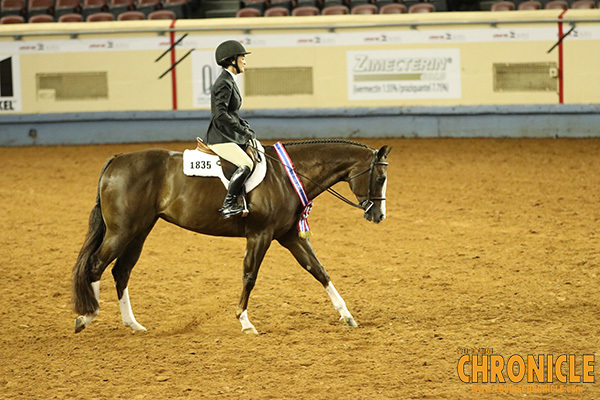 Find out what Beth Case had to say about Willy Has Potential, the horse she just rode to win Senior Hunter Under Saddle at #AQHAWorld2018 for owner, Shelby Ratliff. Check out more great videos on EquineChronicle.TV. What happens when your flight is late and the Senior Trail class is already placing? G-Man steps in to do his first video interview! 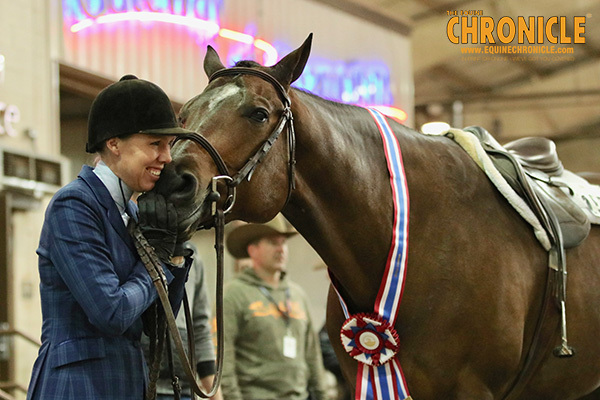 Check out what Melissa Jones had to say about her win with Chilln Ona Dirt Road in Senior Trail today at the AQHA World 2018. Check out more fun videos on EquineChronicle.TV. 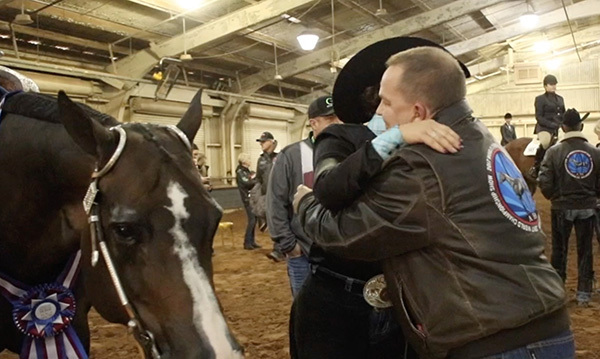 It’s been a fun-filled two weeks at the All American Quarter Horse Congress, but there are some moments you didn’t get to see… It’s time for our Blooper Reel! 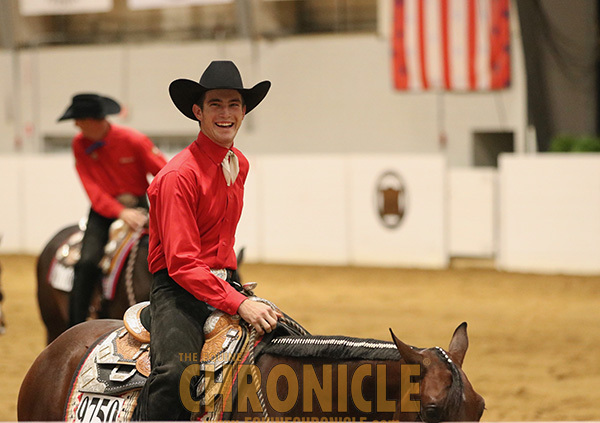 Check out all our Congress videos on EquineChronicle.tv.